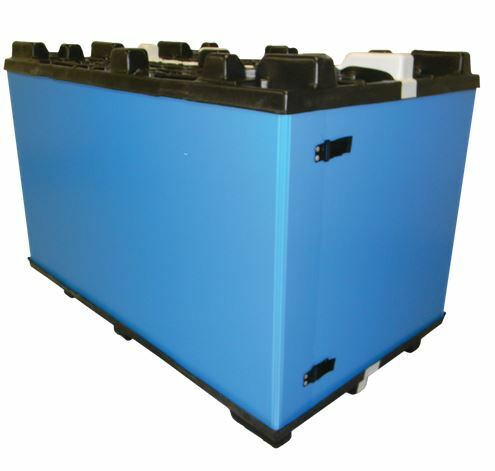 Sleeve packs are a lightweight, collapsible solution for bulk packaging and material handling. 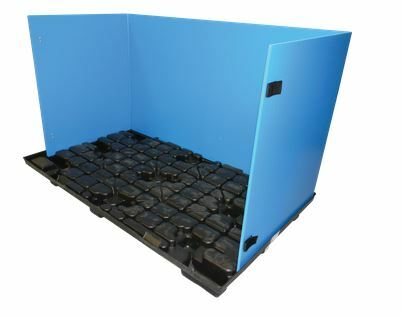 A sleeve pack is made up of a plastic pallet base, collapsible walls that fold, and a plastic lid or mirror image top. Our sleeve packs, also known as plastic gaylords, are made of corrugated polypropylene plastic up to 16 mm thick. We offer the thickest corrugated on the market, making our sleeve packs extremely impact resistant, and ideal for your most demanding applications. Sleeve Packs are also available in heavy-duty paper corrugated. 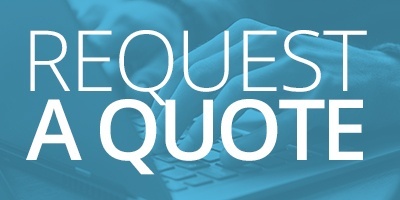 Contact us online or call us at 1-866-875-9918 for more details. 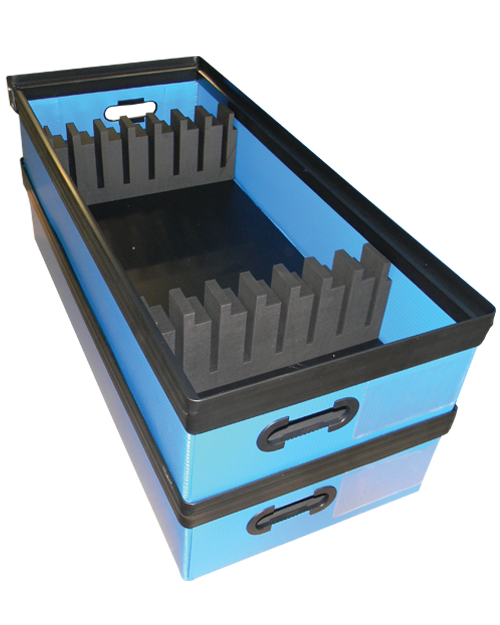 We offer sleeve packs in a variety of standard pallet size footprints, as well as custom footprints, and can manufacture to your exact height requirements. 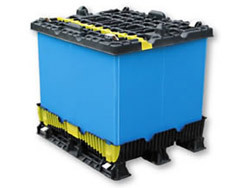 Standard forklift entry means you can move and stack your Universal sleeve pack just as you would any other bulk container. 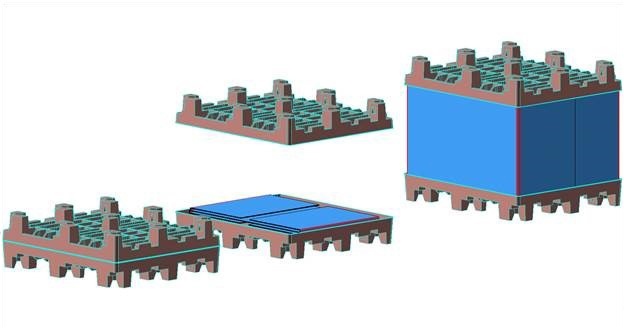 Sleeve packs are a distribution container best suited for applications where the load is restrained and exerts downward as opposed to outward pressure. Sleeves can be made of corrugated plastic or corrugated paper.